Find the best fringe for your face with these tips and celeb examples! Well, almost! There are still a few styles that even ovals don&apos;t look great in, which I&apos;ll be showing you here. As with ALL the hair types, it&apos;s still important to consider your hair texture, your hairline and any cowlicks before committing to a bang. Bring in your favourite photos and talk to your stylist first. 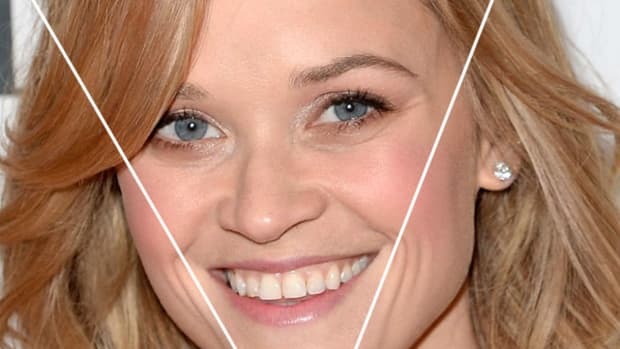 Do You Have an Oval Face Shape? 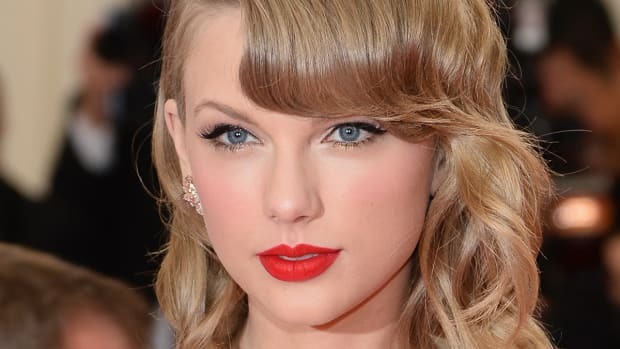 If you&apos;re an oval like Taylor Swift, then your face is neither long nor wide, and neither round nor angular. 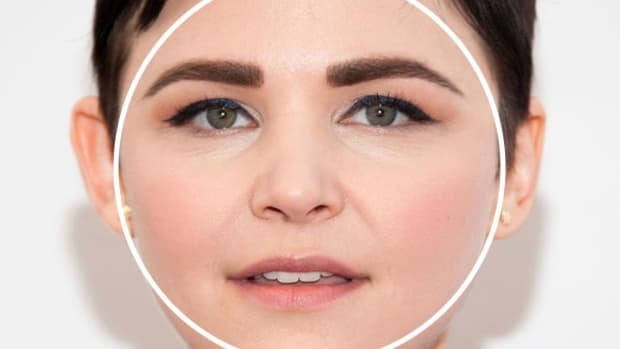 An oval face is a little longer than it is wide, but not by much, and the widest part is at the cheekbones. It tapers slightly at the forehead and jawline, with no sharp corners. Full bangs with choppy ends: Taylor Swift wears a bang SO well. Hers are full enough that they don&apos;t separate and show her forehead, yet not so much that they look heavy and overwhelm her delicate features. The slight choppiness at the ends helps to create a soft, fluffy texture. And they&apos;re ever-so-slightly rounded off at the corners. Bang perfection! Blunt, straight-across bangs: Hannah Simone&apos;s bangs are a little heavier and straighter than Taylor&apos;s—but as a proportionate oval person, she definitely pulls them off. (They&apos;re not even close to closing off her face, like they would on a diamond.) 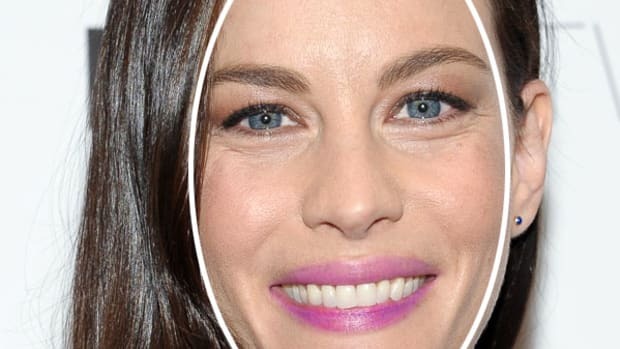 Note that the length is just right: skimming below her eyebrows and not a fraction longer. I like the two pieces on either side to soften the look a bit, and transition to the longer lengths. Curtain bangs: The curtain (or Bardot bangs, if a little shorter) are one of my favourites because they&apos;re so versatile on a variety of face shapes. Sienna Miller is probably the modern-day queen of this bang style, which parts in the centre and frames the face on either side. Since ovals are in balance, you don&apos;t need to worry about where the bangs end on the face. Super-cute! 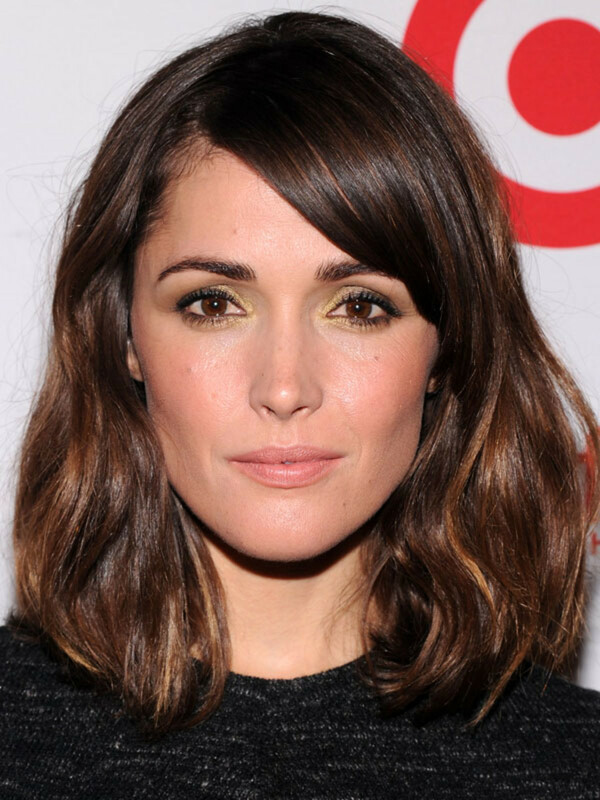 Side-swept bangs: No surprise that Rose Byrne, as an oval, is a bit of a bang chameleon. She&apos;s worn straight-across blunt ones in the past, but I also like her in this side-swept style—which works not just on ovals but every face type. Hairlines without cowlicks or widow&apos;s peaks have an easier time with these bangs, since the hair will be more cooperative at staying on one side. Short, layered bangs: Oval face shapes are ideal for short haircuts, and can really have fun playing with textures and layers in the bangs and throughout the cut. Kimberly Wyatt—who had one of my favourite short haircuts here—wears layers through the front of her hair, with bangs that end at about mid-forehead. A little styling wax or paste keeps the look really piecey. Textured baby bangs: So many times we&apos;ve seen baby bangs that don&apos;t work for particular face shapes... but ovals like Krysten Ritter can actually pull them off. Hers are a modern, more wearable take on the Bettie Page look, with more choppiness and and less weight. They really bring out her eyes, and totally suit her high-contrast skin and hair. Long, rounded bangs: An inexplicable hair faux pas by Carly Rae Jepsen here. (I swear, she&apos;s adorable in person, so not sure what happened.) As you can see, even a balanced oval face isn&apos;t flattered by too-long, too-heavy bangs that hide all the features. Even the rounded edges are working against her, as they just cover more of her. CRJ needs a trim and some hairspray to get that heavy hair away. It looks uncomfortable! 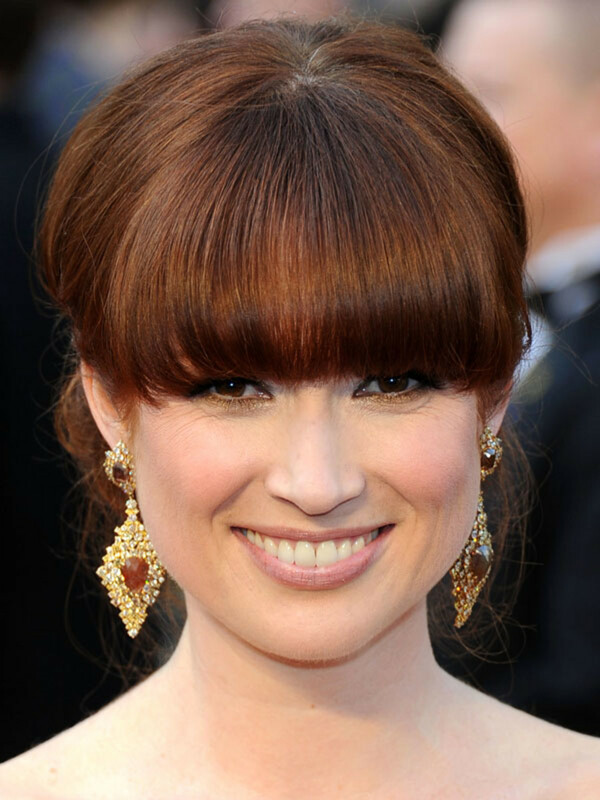 Long, heavy bangs: Ellie Kemper is another heavy bang-offender. While I do think she pulled hers off better than Carly Rae did, it&apos;s still problematic that you can barely see her eyes under there. Just a few millimetres would&apos;ve made all the difference. I also think letting her bangs lie a bit more flat—instead of so much rounding—would be a bit more modern. But she probably only did that to try and get the length up. Memo to Ellie: bang trims are free! Thin bangs with graduated sides: So dated. Britney Spears&apos; bangs remind me of a TV anchorwoman in the late &apos;90s. They&apos;re rather thin, which might have been okay if it weren&apos;t for the way the hair falls back at the crown and on either side. The way they&apos;re tapering isn&apos;t great either. A few tweaks would save this: brushing her hair down so it falls more straight and flat, and then tidying up the bang lines so they&apos;re more blunt and graphic. Thin, curly bangs: Jessica Alba has really upped her beauty game since this photo was taken—but a bad bang is a bad bang, and so we must discuss it. This is the reason many (most?) curly-haired folks have a fear and loathing of bangs. If you get &apos;em, then you must commit to always styling them. Jessica&apos;s are not only misbehaving, they&apos;re also confusing me by the uneven lengths. Abort, abort! Micro bangs: It pains me to bring up Marion Cotillard in any "worst of" column, since I love her style so much, but this bad-bang blip left me permanently scarred. They&apos;re not just baby bangs; they&apos;re micro bangs. And they look like they were cut with hedge clippers. She&apos;s gorge no matter what, but these bangs flatter no one. Blunt baby bangs: Katy Perry is also super-pretty in person—so pretty she actually does pull off these bangs—but they are costumey, they belong more on stage, not in real life. I think Krysten Ritter nailed it for how to wear baby bangs in a flattering way. Katy&apos;s are just too blunt, too short, too graphic... they&apos;d look a bit crazy on a makeup-free run to the corner store in your sweatpants. 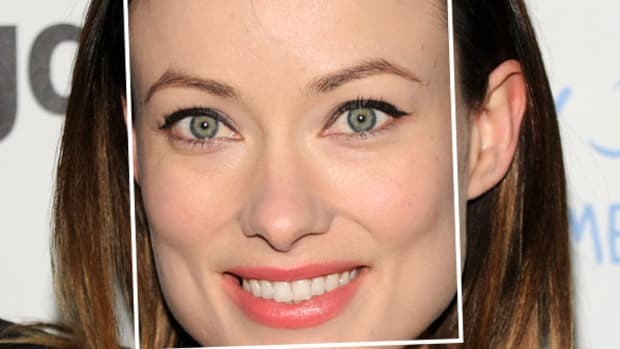 What’s your favourite style of bangs for an oval face? If you have this face shape, which hairstyles have worked for you? What’s the worst style for oval faces?